Our review today is of the supplement Perform Vita Neuroflexyn. This product is claimed to be a nootropic responsible for increasing concentration, promoting creative thinking, boosting energy, enhancing memory recall and overall increased productivity. The manufacturers advertise it as a perfect remedy for people with focus and memory problems especially since, according to them, all of the ingredients in this supplement have been thoroughly researched, tested and they have been proven effective in clinical trials. So read on to find out more details about this remedy, as well as dosage and ingredients information. In spite of our best efforts and thorough research, we were unable to find enough details regarding the optimal dosage for this supplement. The information we found is unclear and confusing at best. Customers are supposed to either take one capsule three times a day, take three capsules all at once each day or take three capsules three times a day. We strongly advise future Neuroflexyn customers to check the label before starting the treatment. This product has three packages you can choose from, which also include discounts, depending on the number of purchased bottles. 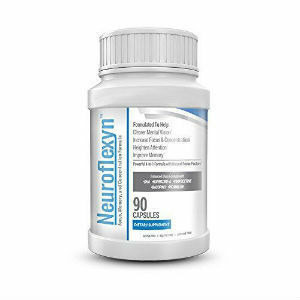 The price for one bottle of Neuroflexyn is $49.95. However, when buying two bottles of Neuroflexyn, the customer also gets a third one free of charge. The same thing goes for buying three bottles, as the customer gets two more for free. Even though there are no monthly subscriptions available, this still seems like a decent deal. The good news is that Neuroflexyn does offer a guarantee. The bad news is that this guarantee is not as strong as we’d hoped for. First of all, unsatisfied customers only have 30 days to return the product. That is 30 days for the Neuroflexyn bottle to get from the manufacturer to you and then back again to the manufacturer. When you think about it, that’s not a whole lot of time. Another negative aspect of this product is the fact that although it has a lot of customer reviews, most of them are negative. Apart from complaining about the ineffectiveness of the supplement, the customers have also come to accuse the company of fraud, which is really concerning. The bottom line is that Neuroflexyn contains only clinically tested ingredients and is an 100% natural product. Despite that, the fact that the dosage instructions are so unclear and the weak guarantee have made us question it. Add all this to the numerous negative reviews the product and the company have gotten and you might want to reconsider and choose another supplement. Henry Costa	reviewed Perform Vita Neuroflexyn	on November 16th	 and gave it a rating of 2.5.